While I was approaching the site of the exhibition From The Clearest Springs. Tradition and Abstraction in the Art of Dezső Korniss (1908-1984), I tried to recall what I knew about the artist. It was clear for me that his works stand out within the group of the European School. When studying his paintings in their relationship to Surrealism, his appetite for abstraction cannot be overlooked. 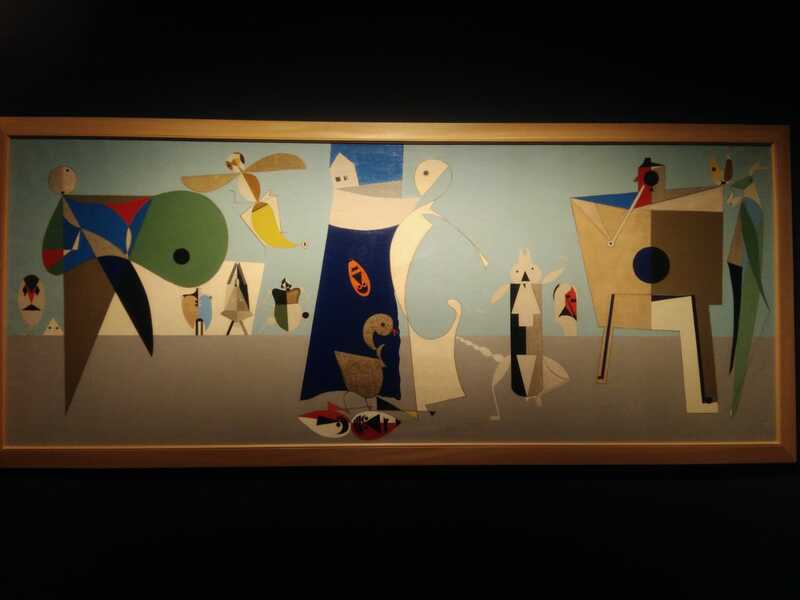 In this sense, his works resemble those of Miró or Arp – in some instances, even those of Tanguy. 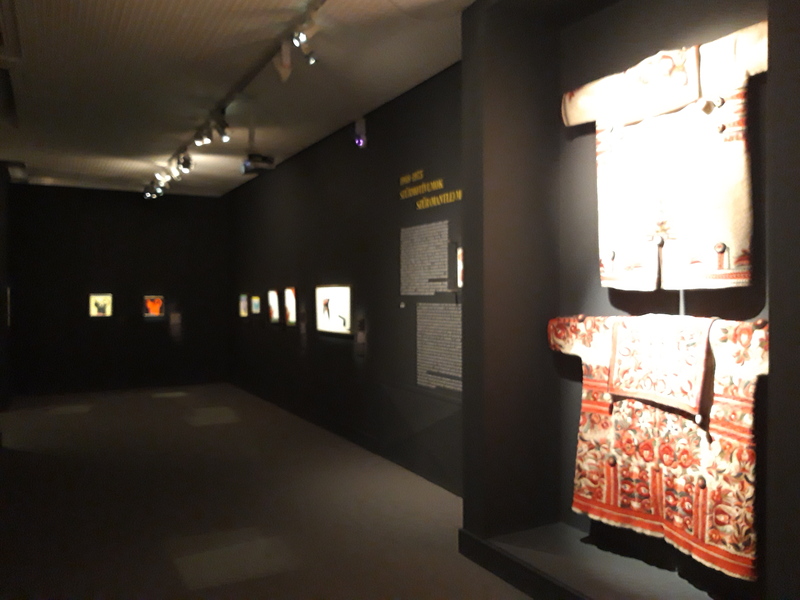 When I have mentioned his name in previous posts of this blog, either referring to publications or exhibitions organized in Debrecen or Budapest I always presented him as someone who is more abstract than his fellow group members. His self-portrait from a 1946 publication of the European School is quite typical in this sense. However, From the Clearest Springs showed me something else. This time, abstraction came closer to everyday life. 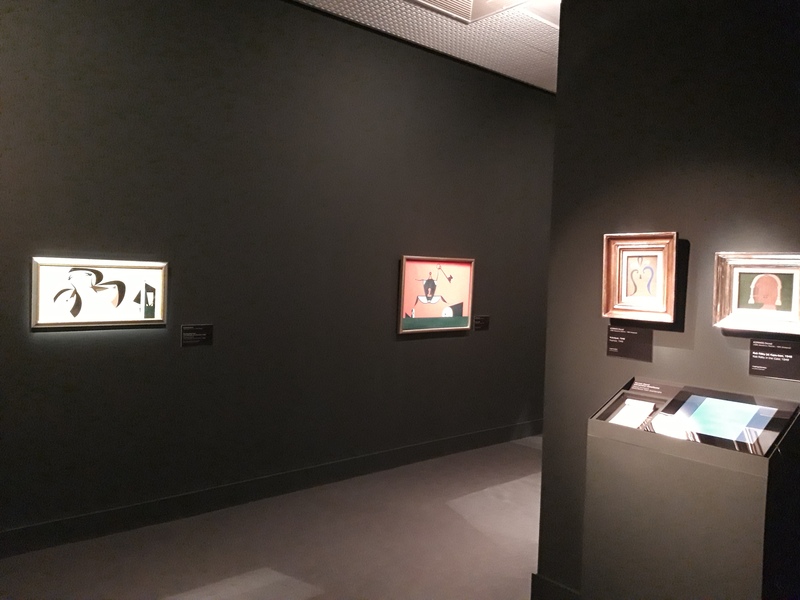 Although the overall aspect of the exhibition showed proportionally less Surrealistic works than expected, the contextualization of the works offered a reinsertion of the artworks into the “marvelous” of different kinds of spaces. In her book co-authored by Hamvas Béla, Kemény Katalin wrote about the house as the archetypal image for Korniss. In 1947, when this affirmation was made, it offered an interesting and valid insight into the world of the painter. 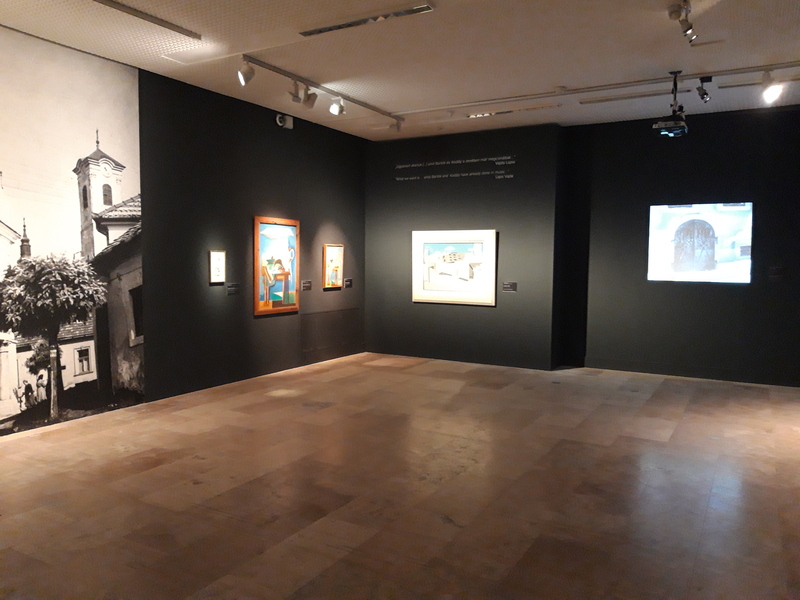 The first greater room of the exhibition, recreating the atmosphere of the small town Szentendre, reaffirms the validity of Kemény’s statement. 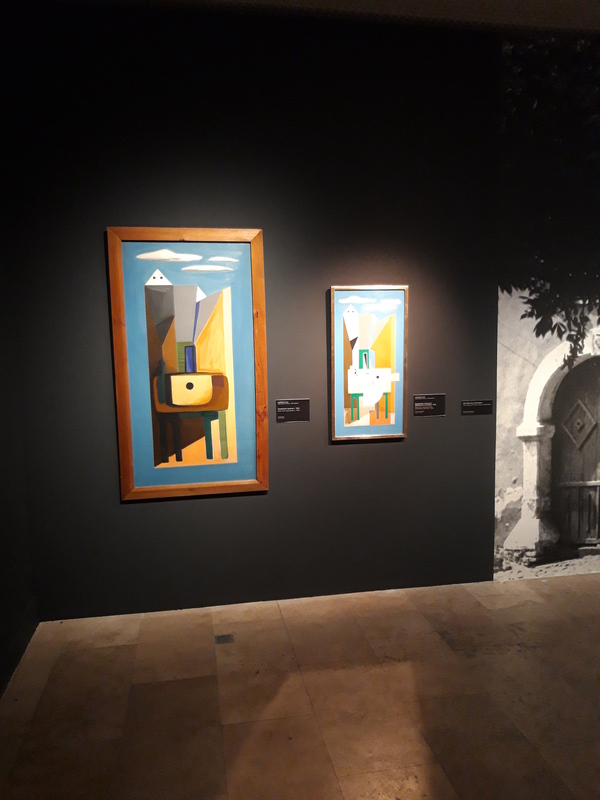 The abstract cityscape realized within Korniss’s paintings initiates a dialogue with the photographic image of the town (and also with the works of Vajda Lajos), where gates and doors suggest a possibility to enter a different space. 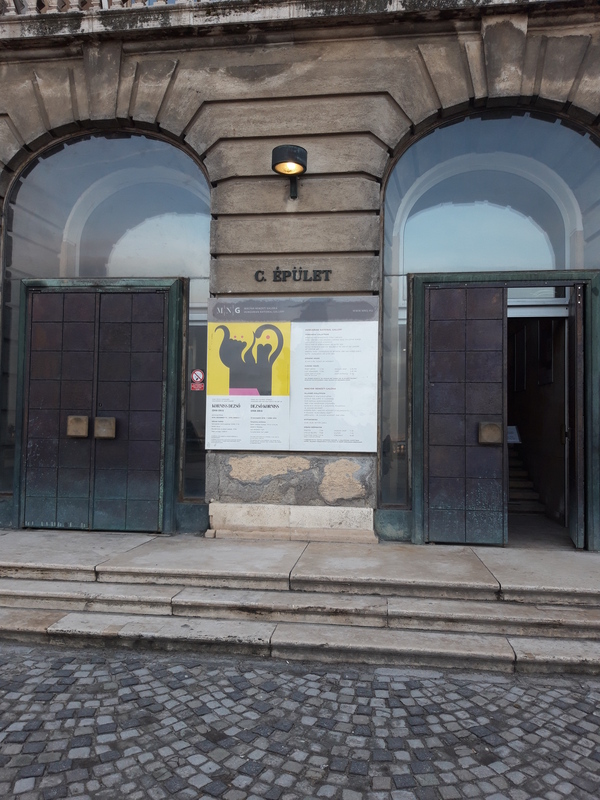 As we exit the greater room representing Szentendre, we can see how the shape of gates gets reinterpreted into human faces in some of the author’s fairly well known artworks. The next context is motion. 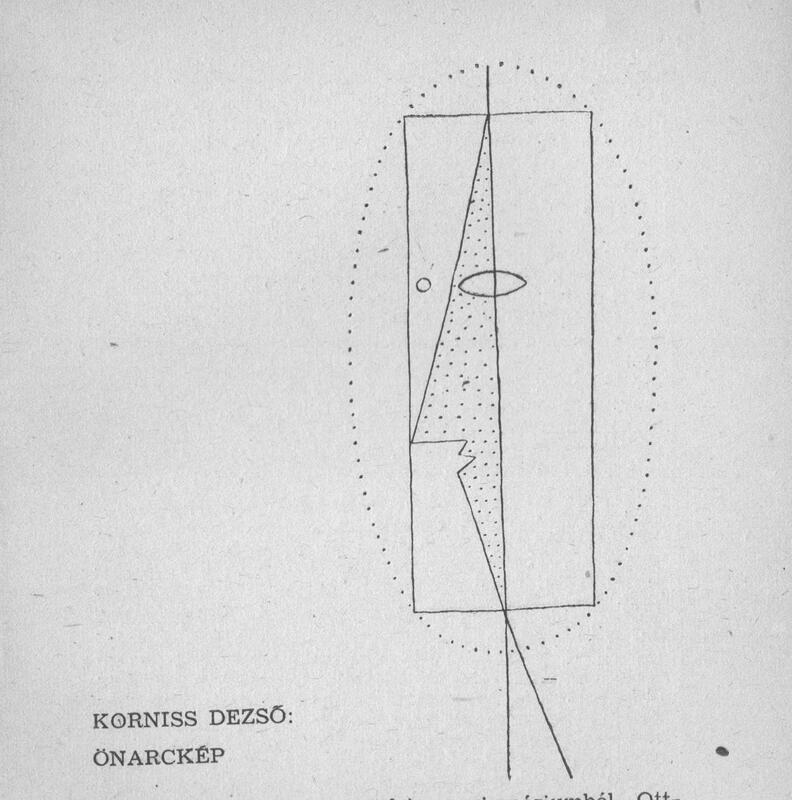 Some of Korniss’s works created using techniques of automatism represent dancing grigs – again, in an abstract, associative manner. 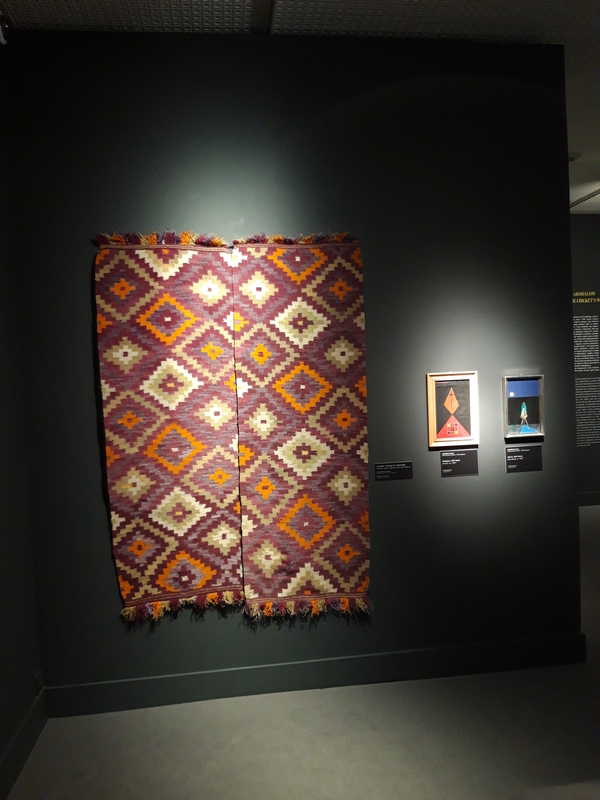 The exhibition suggests that a relevant context for the series of these works are motion pictures. Indeed, movies and music add new meanings to these images that prefigure one of the exhibition’s masterpieces: The Grig Wedding. 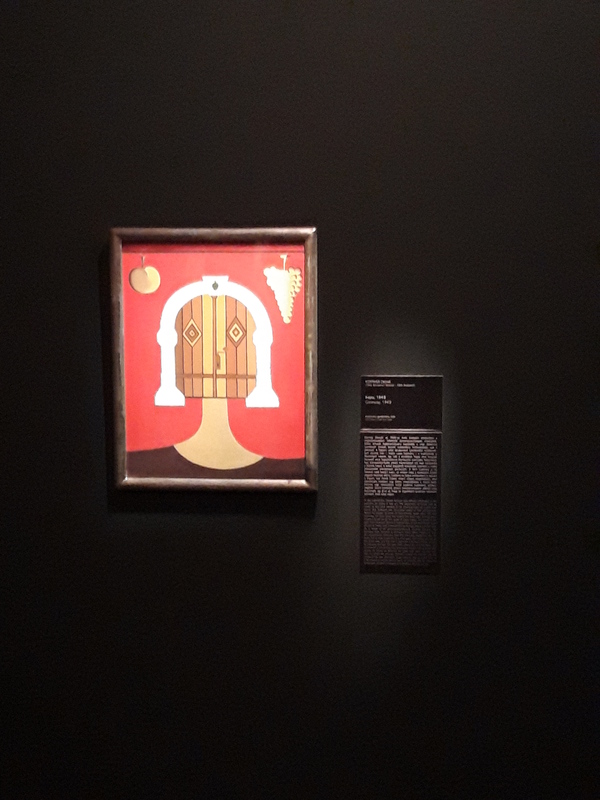 One of the strongest statements of the exhibition refers to this painting, and the argument behind it goes back to Korniss’s autobiographical text in one of the European School’s publications. “If asked what I want, what my art wants, I have to answer by naming two huge artists: Bartók and Picasso. 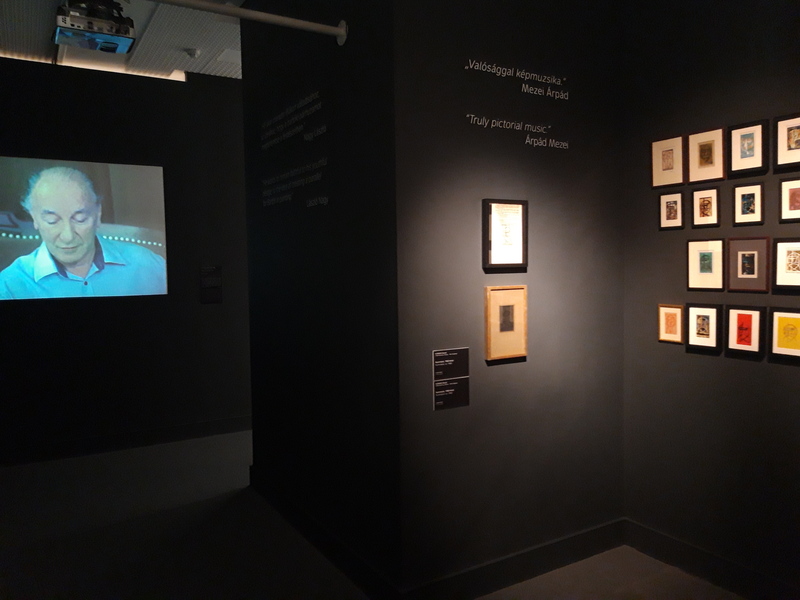 The unity of the popular, the humane and European is realized in music by one of them, and in painting by the other.” The connection with Bartók is highlighted in many instances during the narrative of the exhibition and of the catalogue. 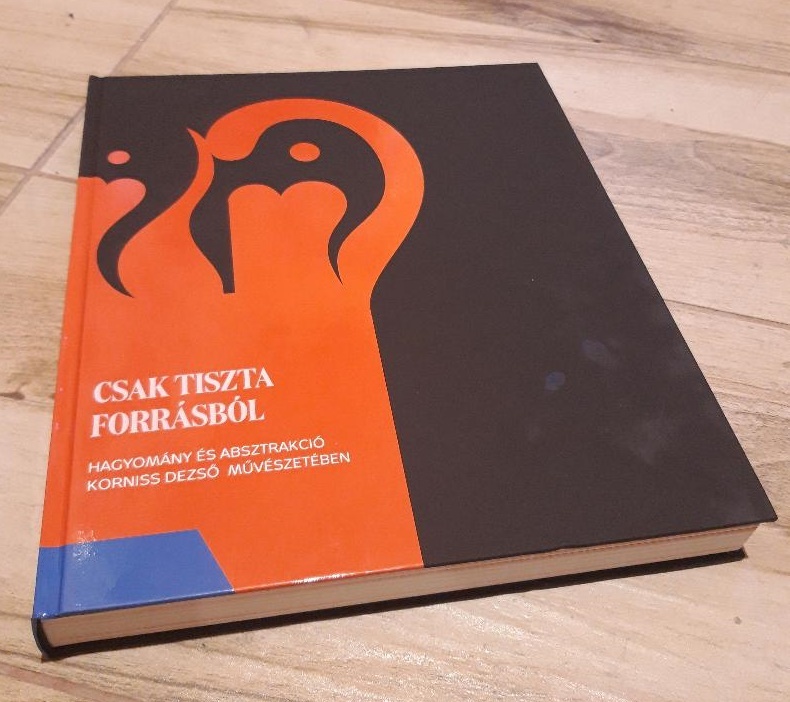 The Grig Wedding is interpreted in its complex structure by Bellák Gábor in the catalogue and is rightfully considered an outstanding artwork. The Picasso connection is considered through the dialogue of the painting Kántálók (Christmas singers) with Picasso’s Three Musicians. 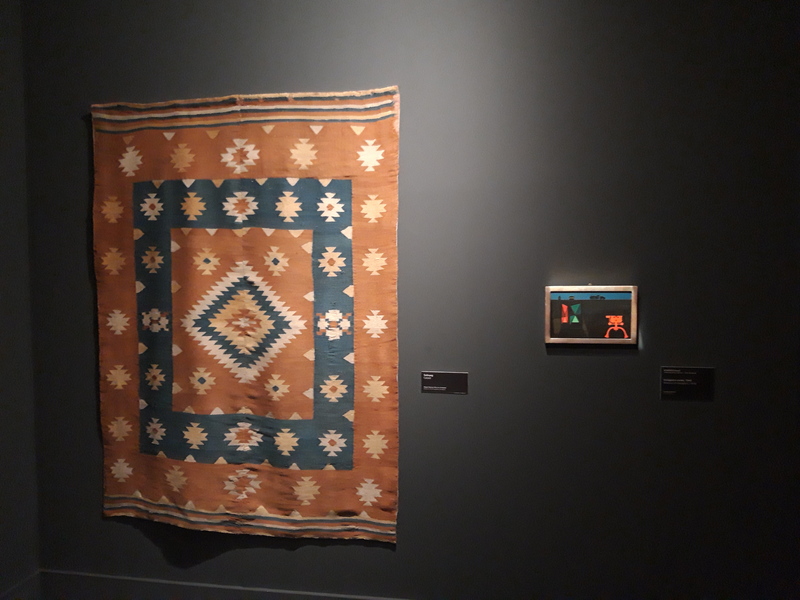 The contextualization is again manifold: the techniques of abstraction can be connected in Korniss’s case not only to Picasso’s Cubism, but also to traditional forms of handmade carpets. 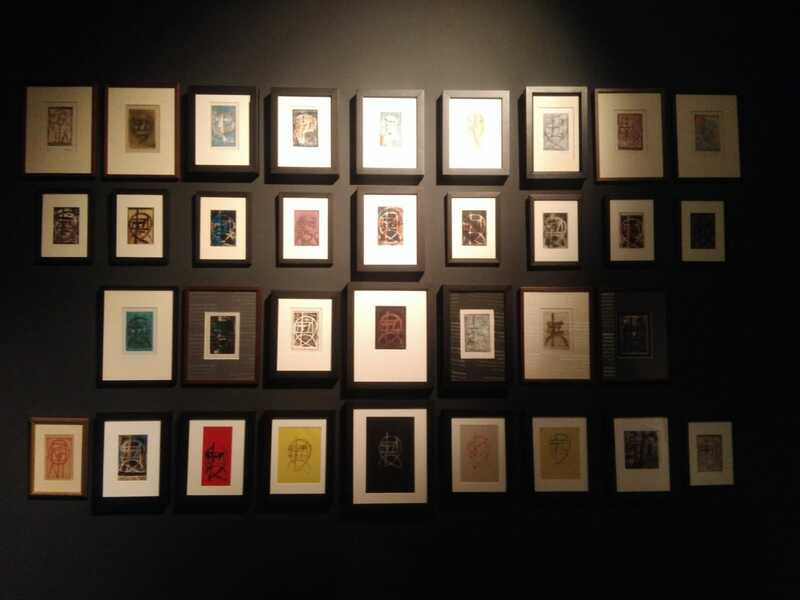 But the surreality effect of the exhibition is further on achieved through more and more juxtapositions. Traditional masks are placed near images of flying kites. 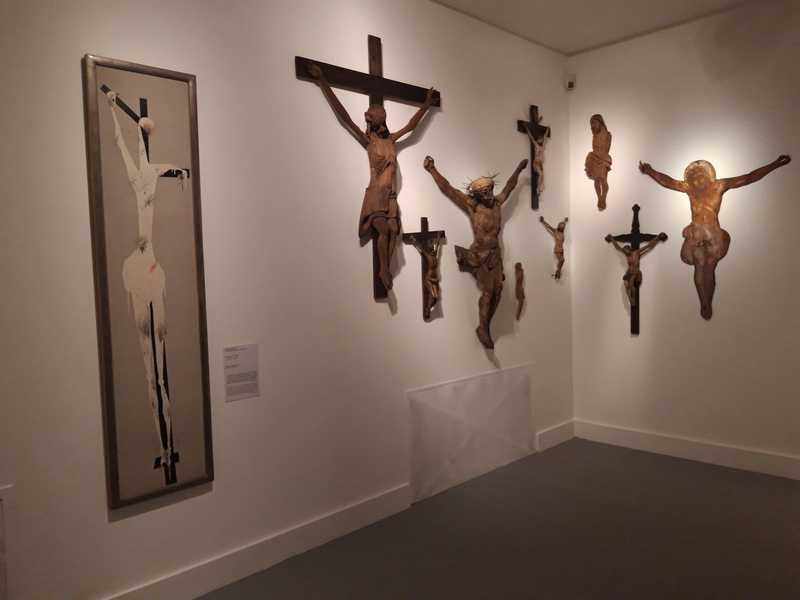 Images of Christ on the crucifix offer a great variety of visual analogies for the artist’s works connected to the domain. 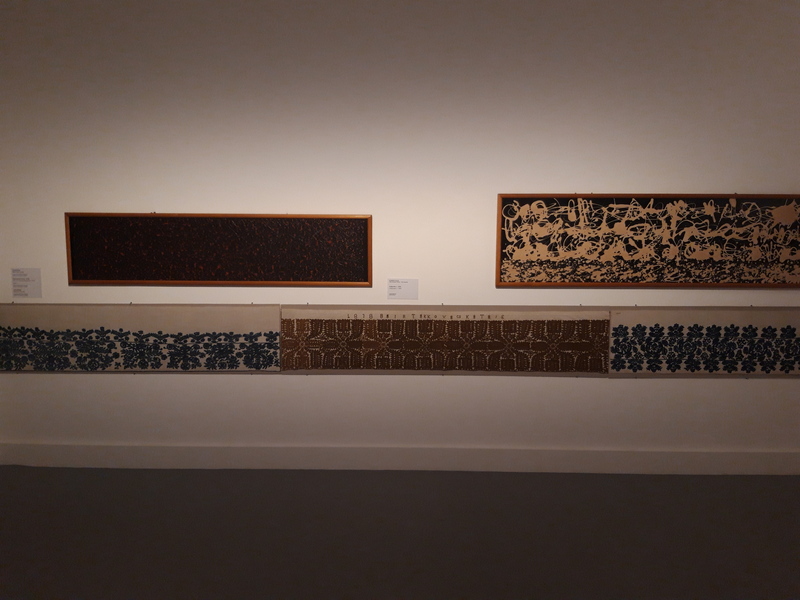 Handmade textiles from the collection of the Museum of Ethnography show astonishing similarities with the series of Calligraphies realized in an Abstract Expressionist style. And the analogies go on and on. 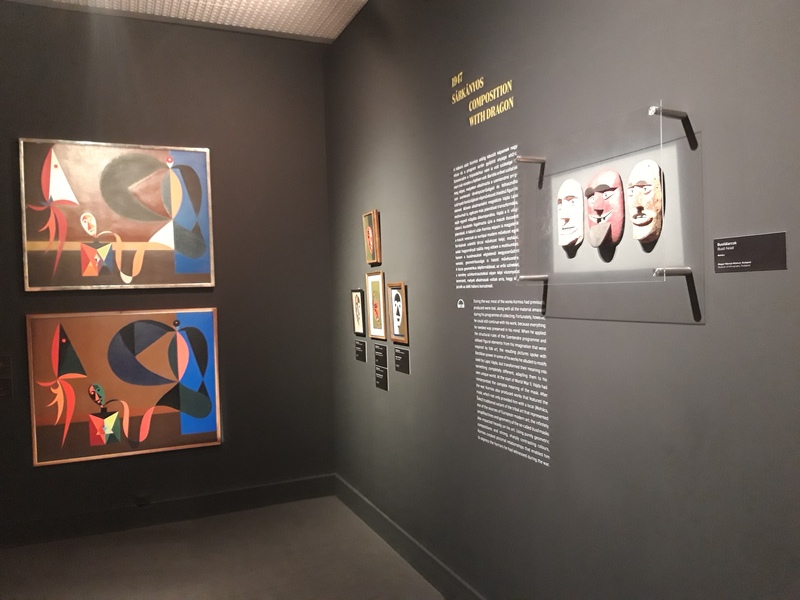 By the end of the exhibition (and before we see some works of major Hungarian artists inspired by Korniss, like Bak Imre, Csiky Tibor, Keserü Ilona and Nádler István) we come across the face of the painter. A fragment of a film is on display, with Korniss singing a song. 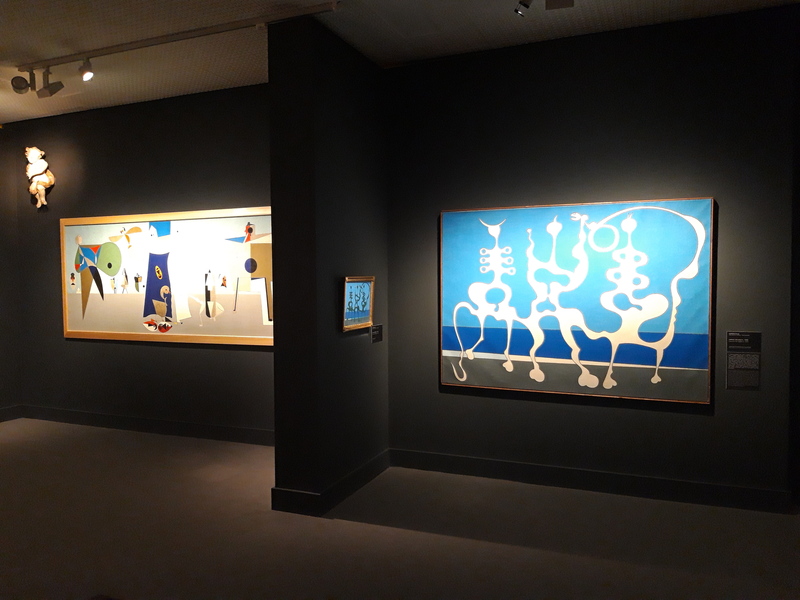 On the right a great number of his Illuminations are exhibited – these works were also created while being connected to the European School, a group where Surrealism and abstraction intersected each other. 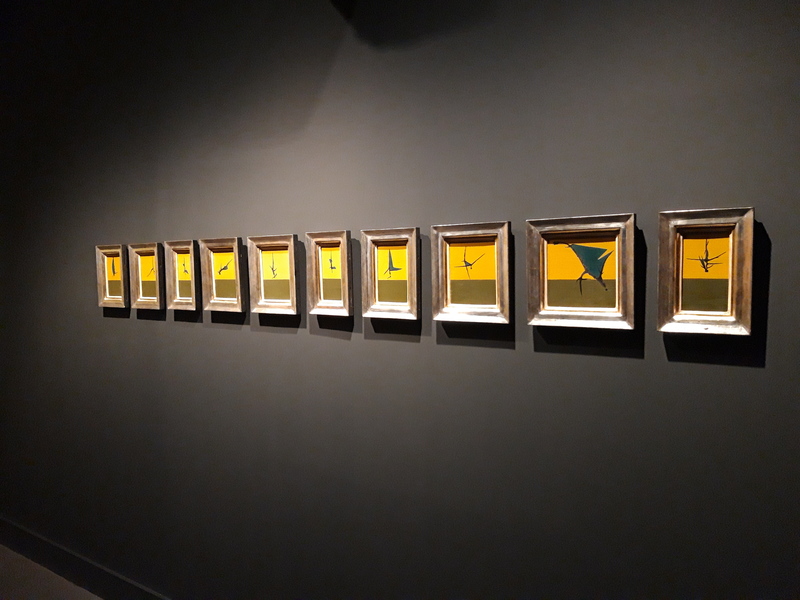 This series was inspired by Arthur Rimbaud’s poetry, the works using the same shapes again and again, creating different effects through different colours and techniques. To see Korniss’s retrospective is experiencing the richness of this oeuvre. And experiencing chance meetings across time and concrete, Surrealistic spaces.